AICGS is now accepting applications for in-residence Visiting Fellows. The AICGS Visiting Fellows Program is designed to provide scholars and specialists with a base while conducting their research in Washington, DC. 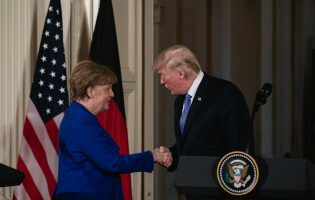 Visiting Fellows should be working on issues related to the AICGS mission, which is to better understand the challenges and choices facing Germany and the United States in a broader global arena. Visiting Fellows must be self-financed and can be in-residence at AICGS for anywhere between one month to one year. Applications are accepted year round. Within these three program areas, AICGS focuses on specific projects that address emerging issues relevant to a changing transatlantic relationship. Visiting Fellows who are working on similar issues may benefit particularly from a research stay at AICGS. The Program, however, accepts fellows working on a variety of topics. 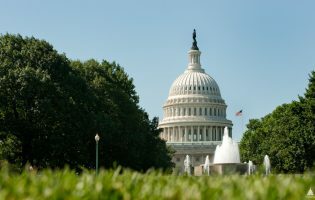 With its location in Washington, DC, providing access to policymakers, universities, think tanks, and the Library of Congress as well as other resources, AICGS offers the ideal location for researchers. AICGS has a wide network of academics and policymakers and its professional staff and fellows provide in-house expertise. AICGS Visiting Fellows are an integral part of the AICGS community and are encouraged to participate in AICGS projects and events and contribute to the Institute’s targeted analysis newsletter, The AICGS Advisor. Depending on the quality of the Visiting Fellows’ research results and the nature of the project, AICGS will provide opportunities for public presentations to the broader Washington policy and academic communities. The Visiting Fellows Program is open to all nationalities. Fellows are responsible for their own travel and living costs while in Washington, DC. In addition, Visiting Fellows must cover the use of office space at AICGS and incidentals, such as phone/supplies/postage. Foreign nationals must be eligible to travel to the U.S. Applicants must have at least a Master’s Degree and be working on issues related to the German-American relationship. One letter of reference (for graduate students and recent PhDs (received in the last five years) only). Visiting Fellows who are conducting their own research and are self-financed can travel to the U.S. under the Visa Waiver Program (country-specific restrictions apply) for up to 90 days, provided they possess an e-passport and an approved authorization through the Electronic System for Travel Authorization (ESTA). Visiting Fellows who are staying longer than 90 days or cannot travel under the Visa Waiver Program need a non-immigrant visa to travel to the U.S.: B-1 (Business Visitor Visa) or J-1 visa (Exchange Visitor Visa). AICGS will provide information about and assistance with obtaining a visa. AICGS is now accepting applications for the Director of the Society, Culture & Politics Program.